"The network of nerves in your baby's ears is better developed and more sensitive than before. He may now be able to hear both your voice and your partner's as you chat with each other. He's inhaling and exhaling small amounts of amniotic fluid, which is essential for the development of his lungs. These so-called breathing movements are also good practice for when he's born and takes that first gulp of air. And he's continuing to put on baby fat. He now weighs about a pound and two-thirds and measures 14 inches (an English hothouse cucumber) from head to heel. If you're having a boy, his testicles are beginning to descend into his scrotum — a trip that will take two to three days." 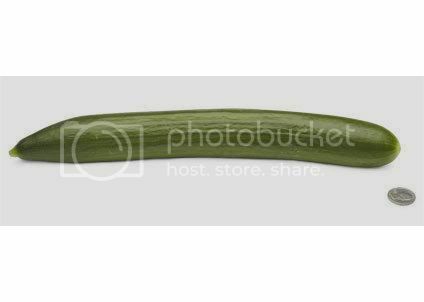 Baby’s Size: About 14" long (the length of an english cucumber) and a pound and two-thirds. Total Weight Gain: around 13lbs, holy cow!!!! Maternity Clothes: Exclusively...I really need more pants for work though. Movement: Oh yeah, I love watching him move at night! Sleep: Terrible. I got out the snoogle and now I use that every other night because it gives me aches in the morning after using it so I need a day off in between uses but it really helps to get comfortable. Symptoms: Uhmm...I've been nauseous some and insanely hungry again. I've been waking up this week and NEEDING to eat, I can feel my tummy gurgling before I even get out of bed. Best Moments this week: I married the love of my life after 7 years! It was wonderful. Jessica made me a beautiful bouquet and we all went to dinner, complete with a cake!!!! ANNNNDDDD Baby K's cardiologist doesn't believe he will have HLHS anymore and may not even need a cardiologist at birth, YAY!!!!!! Food Cravings: Sweet things at night, I need another tub of cookie batter to make cookies! What I am Looking forward to: We have our monthly growth scan on Monday, I'm very scared because the only thing the cardiologist did say is that Baby K is measuring small for his gestation...babies with this condition are known to be failure to thrive (like a 2yo who just got to 10lbs) which is why I need monthly growth scans because if he stops growing then I'll need to deliver. Keeping our hopes up though! Milestones: Almost the third trimester, thank you baby Jesus!! "Head to heels, your baby now measures about 13 1/2 inches. His weight — a pound and a half — isn't much more than an average rutabaga, but he's beginning to exchange his long, lean look for some baby fat. As he does, his wrinkled skin will begin to smooth out and he'll start to look more and more like a newborn. He's also growing more hair — and if you could see it, you'd now be able to discern its color and texture." 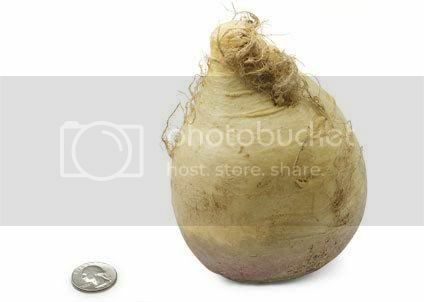 Baby’s Size: 13 1/2" long and weighing as much as a rutabaga- a pound and a half. Kaleb was actually a pound and a half two weeks ago, whatta big boy! Total Weight Gain: I don't even check anymore. Maternity Clothes: Of course. I really need more pants and shirts though. Sleep: I got my snoogle out, thank god for that invention! Symptoms: Started getting round ligament pain a few days ago, talk about painful. I never had that with Nolan and was nearly sure it was contractions, lol. Best Moments this week: The card from Dennis' grandparents, there are some amazing people in the world who are willing to help in the midst of a crisis. And of course...FRIDAY MORNING! Food Aversions: WATER?!?! Yep, water. Especially at night. If I drink it I can instantly feel the water sloshing around in my stomach (to the point of being uncomfortable) and then I am nauseous for the next couple of hours. Weird. Food Cravings: Not too much really. Milestones: I'm almost 7 months pregnant...wow how time flies. For many many many months Nolan has fought with us to eat in his high chair. I'm not really sure why but he would have a tantrum every night at dinner time, to the point where he would flat out refuse to eat. He's been in the toddler room for about a month now I guess and they don't have high chairs. They sit at the big boy and girl table in real chairs. I think this just made the dinner tantrums even worse. Yesterday we finally went to IKEA and bought Nolan a lovely big boy table and a chair. Dennis put it together within record time and it was ready for dinner! It was great! Peace. No tantrum. No tears. And he ate every last bit of food. Thank you IKEA for a peaceful dinner experience. I have pictures, I promise. I will upload them. Soon. I hope. "Your baby's growing steadily, having gained about 4 ounces since last week. That puts him at just over a pound. Since he's almost a foot long (picture an ear of corn), he cuts a pretty lean figure at this point, but his body is filling out proportionally and he'll soon start to plump up. His brain is also growing quickly now, and his taste buds are continuing to develop. His lungs are developing "branches" of the respiratory "tree" as well as cells that produce surfactant, a substance that will help his air sacs inflate once he hits the outside world. His skin is still thin and translucent, but that will start to change soon." How far along? 24 weeks- this is the earliest that professionals will consider a baby to be "viable" if born for any reason, obviously with a lot of medical interventions. Keep cooking Kaleb! 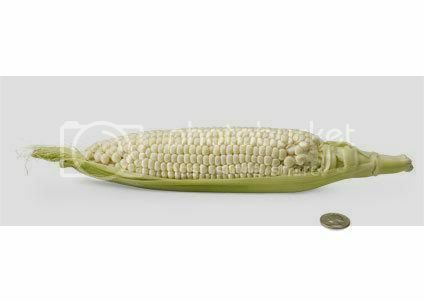 Baby’s Size: About a foot long, the length of an ear of corn. Total Weight Gain: probably about 7 or 8 pounds. Sleep: finally getting more sleep, less nightmares. Symptoms: not many..other than my huge belly. Best Moments this week: less stress. more time to relax. Food Aversions: nothing really...I think nuggets are officially back on the food list that is okay to eat. Food Cravings: OREOS, wth? I have completely turned my back on popsicles and now almost have a breakdown if there are no oreos in my house. I had oreos for dinner last night and I think I will have oreos for lunch today. Sue me! What I miss: I miss being able to bend over. Before Dennis leaves in the morning I have to think of anything I might have to do after he leaves that involved bending over so I can ask him to do it before he leaves. I don't really remember this being an issue with Nolan. It's even getting hard to shave my legs, I never had that problem with Nolan though. Weird. What I am Looking forward to: Next Friday MORNING (not the afternoon...that's our cardiologist appointment) but I can't really say why I'm looking forward to that morning...my little secret. Milestones: Viability this week but not planning to meet Kaleb anytime soon! Nolan...oh my dear Nolan. He is pretty amazing. He is doing pretty well lately, STILL no walking. I'm 6 months pregnant and it's getting pretty difficult to carry a 23 something pound child all around, not to mention bending over to pick him up is a nightmare. The teachers at daycare recognize that and lift him up for me. :) Nolan has recently learned to climb into our cabinets (we made three just for him with plastic items and cups that he can play with). So for a majority of play time he can be found in those cabinets or under the TV playing with the Wii box. Nolan is also extremely great at cleaning. I think a little too great for a 13 month old. I mean really, whose kid cleans? NOLAN! Nolan will get wipes, paper towels, tissues, or cleaning rags and clean the floors, walls, furniture, couch, ottomans, ANYTHING is game. He also sorts out his cleaning paraphrenalia and this becomes rather tedious as he will put one rag to the side and then decide to use it and bring it back then he moves his rags all around. I'm starting to get concerned. Sometimes he gets so caught up in the "sorting of the rags" that he will forget to clean. And now he just stacked all of our tupperware inside of each other and put them back into the cabinets. This is genius! Of course he may be on meds soon for OCD, but at least our house may be a little cleaner? Oh and I know what you're thinking, maybe this is a learned behavior. And if you ask Dennis he very well might tell you how much he cleans around the house and Nolan must have learned from him. I'm sorry, putting toilet bowl cleaner into the toilet without using the brush and not even flushing (which Dennis actually does) is not considered cleaning in my book. So please don't let Dennis fool you. Yes, we vacuum daily (which Nolan also loves to do with his toy vacuum) but we don't clean often, we don't even have time to finish loads and loads of laundry. Oh and Nolan has this off centered smile that just melts my heart. He got his chin from me which is even more prominent when he has a really big smile. He still only has six teeth (I don't even know what is "normal" at this age) but those six teeth are just beautiful. I love you Nolan! "Turn on the radio and sway to the music. With her sense of movement well developed by now, your baby can feel you dance. 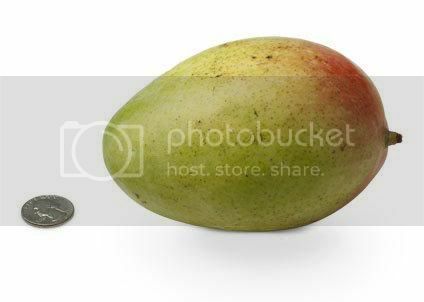 And now that she's more than 11 inches long and weighs just over a pound (about as much as a large mango), you may be able to see her squirm underneath your clothes. Blood vessels in her lungs are developing to prepare for breathing, and the sounds that your baby's increasingly keen ears pick up are preparing her for entry into the outside world. Loud noises that become familiar now — such as your dog barking or the roar of the vacuum cleaner — probably won't faze her when she hears them outside the womb." Movement: Kaleb is always moving, thank god! When he is sleeping I get so worried and I yell at him to wake up or shake my tummy some. I know that sounds terrible but I'm TERRIFIED I will lose him before the due date. Sleep: not at all. not only is it getting uncomfortable but I am having constant dreams about Kaleb and what his condition will be when he is born. Best Moments this week: Meeting with Dr. Busowski (perinatologist) and getting a growth scan, I love seeing my little love bug. It looks like his hands are actually open and he gave us a thumbs up! What I miss: I miss time. My due date is rapidly approaching and I feel like I need more time...more time to adjust, more time to get ready, more time to understand and prepare myself. I just need time. Probably because I'm an avoider at heart and like to avoid negative situations and I'm really worried that when Kaleb is born there is going to be a whole host of problems. What I am Looking forward to: Our cardiologist appointment in two weeks for another echocardiogram to measure the left side of the heart, GROW HEART GROW!!! I think the heart looked pretty great today but apparently I'm not a trained professional, I like to think I am in this situation. Milestones: Nearly 6 months pregnant only 3 months to go! My Mommy Moments has received a poor prenatal diagnosis, and is having a rough time. Please stop by an offer her some support. I am beyond amazed that my blog showed up there and don't even know who to thank. It really amazes me how a crisis can bring people together. I probably say it a million times but I can't believe all of the support we have gotten from people who don't even know us. It makes things easier to deal with for now and I enjoy making connections with people. Sometimes I feel that all of this going on has distanced some people from us. Maybe they don't know what to say or are afraid I'll break into tears if they mention my son and his diagnosis. There is a possibility I will break in to tears but I feel better when people talk directly to me about what is going on than ignore the situation and act like everything is happiness around me. It's really an awkward feeling. Anyways, thank you LCFA for your support!! It's been a little while since I updated, not much has been going on. We got our results back from our chromosome tests and there is nothing wrong with those. That's great to hear but at the same time reminds us how completely random this was. It's definitely great to know that we don't need to worry about Nolan having any mix up in his chromosomes. We met with Dr. Lynda Pollack on Thursday (9/2). She's the genetic pediatrician and wonderful. She is an older doctor so she has been in the medical field for I'd say around 40 years. However, she was very honest in telling us that even with all of her experience she has never treated a child with this chromosome disorder. That is definitely scary to hear but listening to her explain her role in helping Kaleb made us feel better. She is basically a "consultant" to the NICU and other's treating Kaleb once he is born. She researches the disorder and then helps Kaleb's other doctors treat him to the best of their ability so everyone can work together to know what they are even treating. She has already been researching the disorder to prepare for his birth. Dr. Pollack told us she is a very optimistic doctor (most have not been very optimistic with us) however was quick to point out that Kaleb has several very serious things wrong with him and that she didn't want to get our hopes up but she will do everything she can for us. One of our genetic counselors, Candace, was there for the meeting as well and had printed some more information on Kaleb's disorder for us. It's reassuring to see so many doctors and professionals getting together and communicating about our son's condition, even before he is born. It's difficult for us to meet all of these specialists and hear them say that they have never treated a child with this disorder, especially when we are working with specialists at one of the top children's hospitals in the nation with the 4th largest NICU. I can't describe how we have felt lately. I guess a bit numb. We try to go on with our daily routines and are thankful everyday for Nolan because he keeps us insanely busy. Oh and on a side note...my regular OB is an amazing man! The wonderful Dr. Peppy! He called me last Sunday when we were visiting my mother. He called me on his day off to let me know he had gotten the results from my amnio and wanted to let me know he was thinking about us and praying for us. We have appointments with my regular OB and the perinatologist on Wednesday of this week so I will update the journal with the outcome of those visits. We will be visiting the perinatologist every 3-4 weeks for growth scans and just to look at Kaleb and see how he is developing. I'm so excited to see the little man in a couple of days!! I need to start a photo album of all of the sonograms we are getting of him.